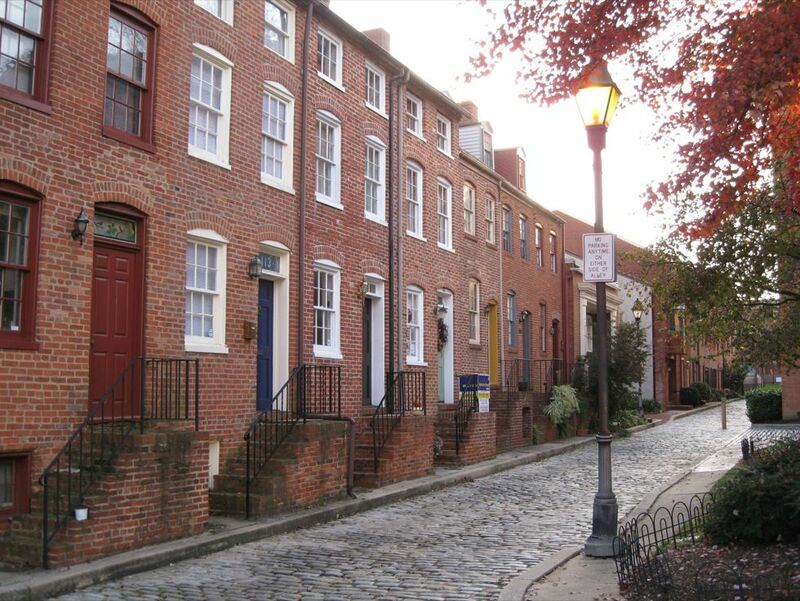 Low-volume residential streets, especially in older cities, often have narrow or crumbling sidewalks. Many of these streets operate de facto as shared spaces, in which children play and people walk, sharing the roadway with drivers. 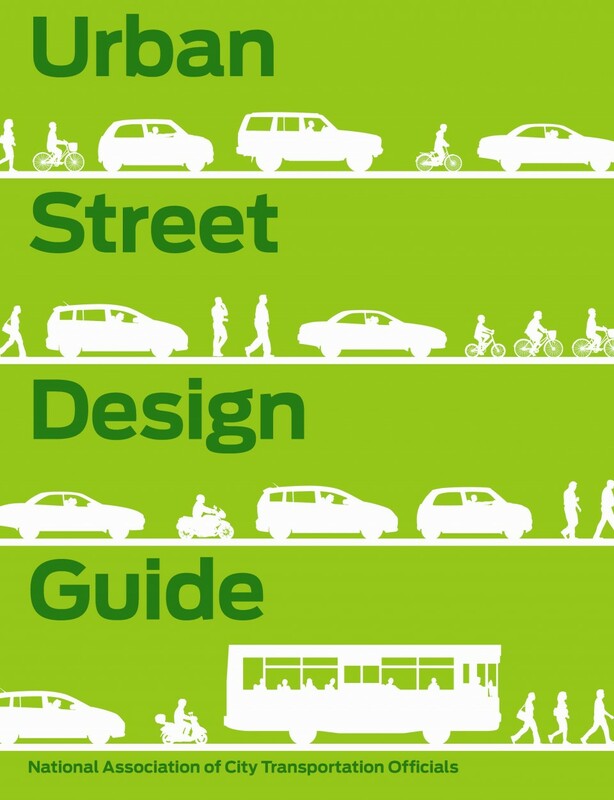 Depending on the street’s volume and role in the traffic network, these streets have the potential to be redesigned and enhanced as shared streets. Shared streets can meet the desires of adjacent residents and function foremost as a public space for recreation, socializing, and leisure. 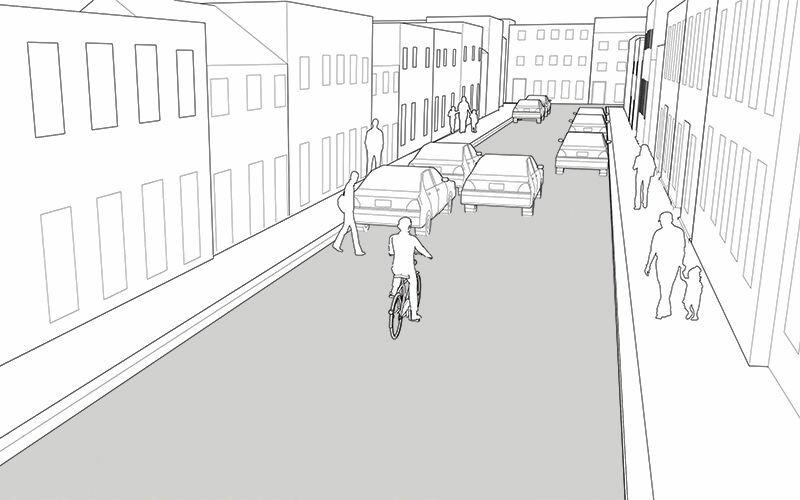 The street illustrated below depicts a 20-foot shared way within a 30-foot right-of-way. Street furniture, including bollards, benches, planters, and bicycle parking, can help define a shared space, subtly delineating the traveled way from the pedestrian-only space. The residential street in the illustration above is common in neighborhoods with low traffic volumes. Here, the configuration of the street network has formed a street segment that functions naturally as a space for children to play and residents to use the road as a gathering place. Many cities that grew before the advent of the automobile have streets that serve naturally as shared spaces. Cities considering the implementation of a shared space should consider the adoption of a specific definition of a shared street in their city code. The cities of Seattle and Cambridge, MA have both officially incorporated a definition of shared street into their city code. 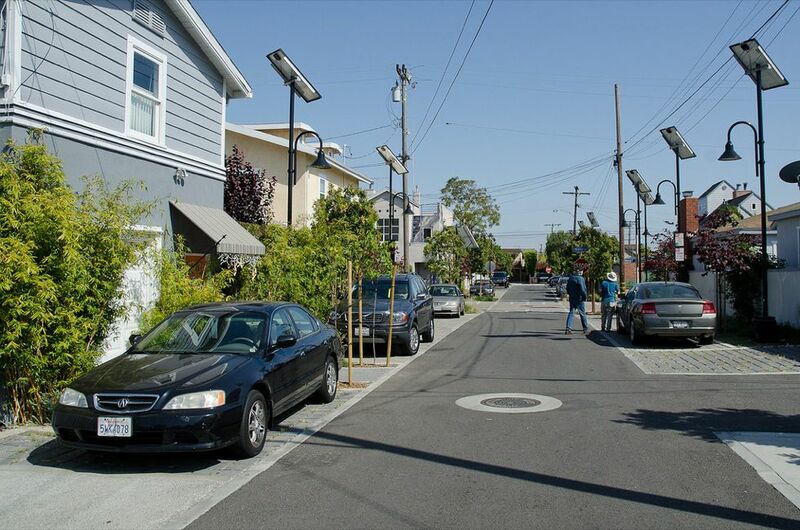 Note: many low-volume residential streets in the United States were designed without sidewalks. Most of these streets have limited access and low volumes, allowing them to operate informally as shared spaces. Cities should aim to maintain low speeds and volumes on these streets, reinforcing their shared nature through materials and targeted design enhancements. 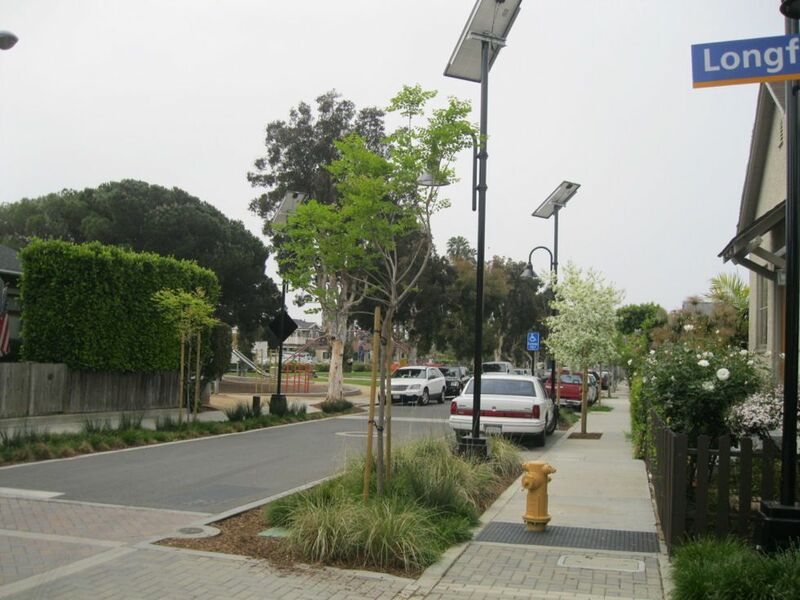 It is important to note that while many low-volume residential streets were designed without sidewalks and may function as shared streets, shared street conversions necessitate a conscious redesign rather than the addition of regulatory signage only. 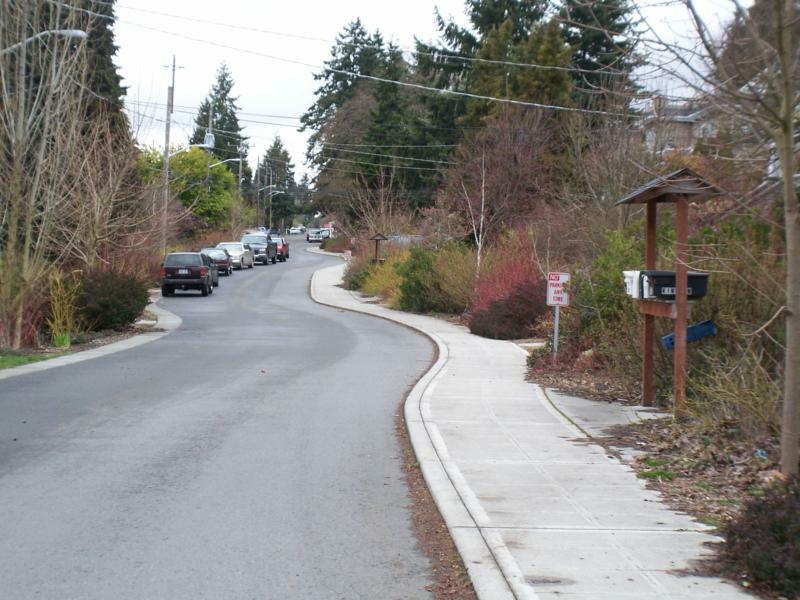 Sidewalks should be added when upgrading substandard neighborhood streets. 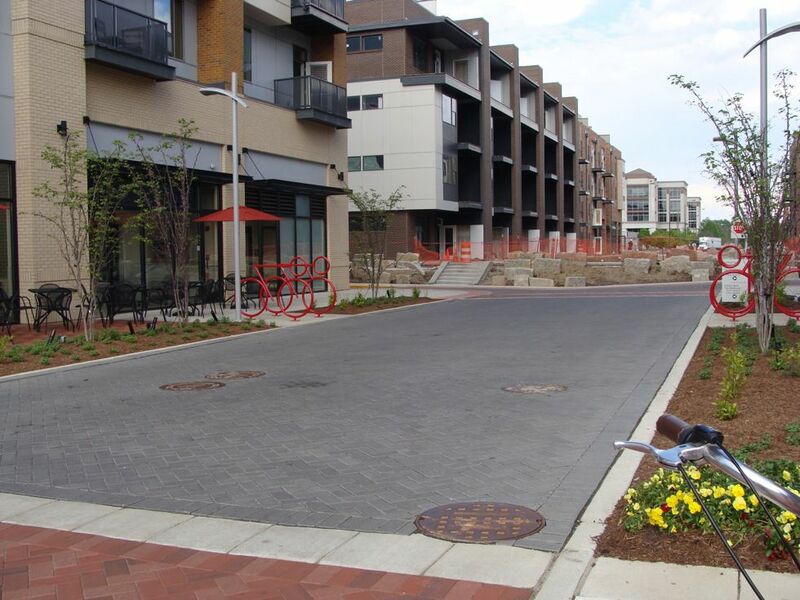 1 Textured or pervious pavements that are flush with the curb reinforce the pedestrian-priority nature of the street. Special pavements, especially unit pavers, may be subject to additional maintenance costs and should be selected based on regional climate and long-term durability. Selection of snowplow-compatible materials is recommended for colder climates. Drainage channels should be provided either at the center of the street or along the flush curb, depending on underground utilities and other existing conditions. 3 A shared street sign should be used at the entrance to a shared street. In some cases, a modified YIELD TO PEDESTRIANS sign (MUTCD 2B-2) may be added to reinforce the conversion in early stages. Shared streets should generally be designed to operate intuitively as shared spaces without the need of signage. Signage serves to educate the public in the early stages of a conversion. 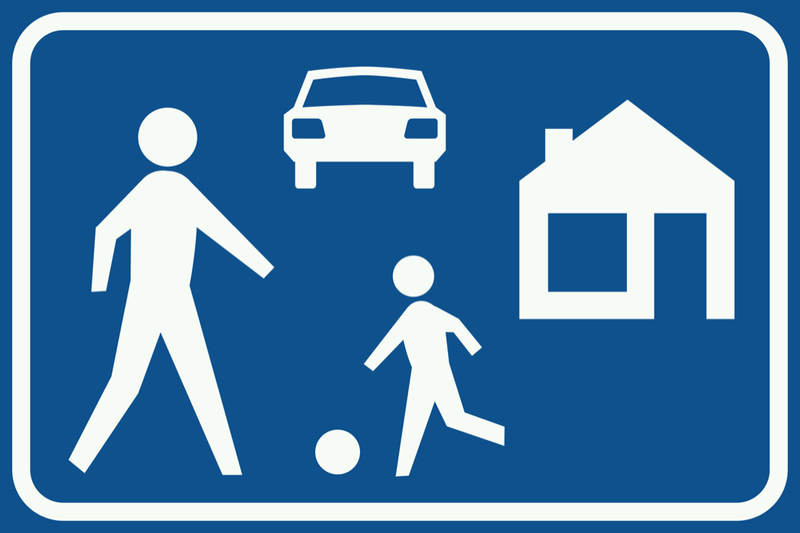 Residential shared street signage often depicts children playing to make motorists aware that they are entering a low speed area. 4 Shared streets generally permit 4 motorists and bicyclists to operate in a 2-way fashion. Narrower shared streets may be made 1-way for motorists, though 2-way bicycle traffic should still be permitted. Certain restrictions and regulations may apply to vehicles on a shared street. Designers should strive to make these behaviors implicit through the design details of the street itself. 5 On wider shared streets, staggered blocks of landscaping, head-in parking, back-in angled parking, or perpendicular parking can be used to create a chicane effect.3 In some cases, parking may be permitted directly adjacent to properties in a residential environment. Bollards, paving materials, and street furniture help to define parking spaces and to delineate private from public space. Where necessary, traffic volumes can be decreased through network design and traffic calming as part of a conversion. 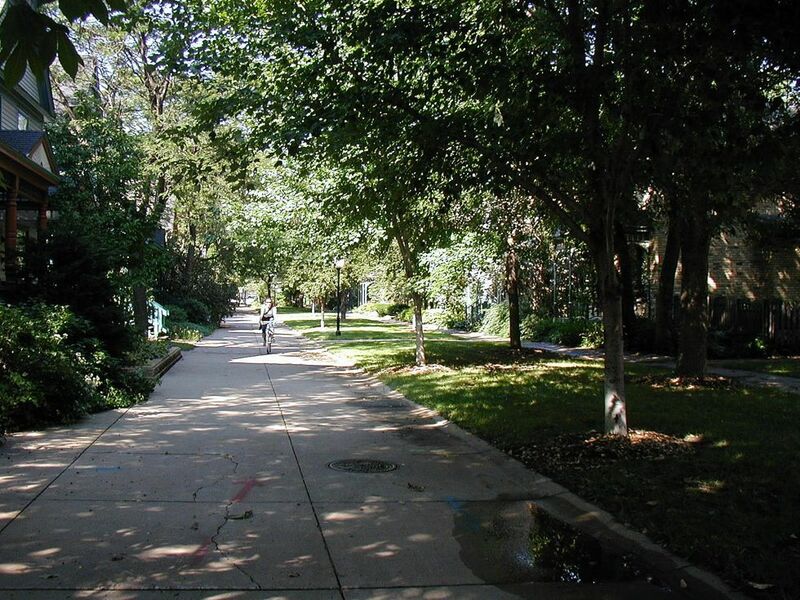 Depending on right-of-way, designers may consider providing a 3–5-foot clear path, protected from traffic. The clear path may be defined using planters, bollards, and street furniture, as well as detectable warning strips or textured pavers. For narrower shared streets and alleys, use of a clear path is discouraged. Winthrop Street and Palmer Street in Cambridge, MA use benches and bollards to provide rough delineation along the traveled way portion of a shared street. Warning strips enable a visually impaired individual to recognize that he or she is entering a space that may include vehicles. “Shared Use Path Accessibility Guidelines,” Federal Register Vol. 76, No. 59 (2011), 17069–17070. Chicanes can be created through physical elements (street furniture, trees) or visual elements (pavers), but should not impede pedestrian travel through a shared street. San Francisco Better Streets Plan (San Francisco: City of San Francisco: 2012), 86. Alan M. Voorhees Transportation Center. Home Zone Concepts and New Jersey. Newark: Edward J. Bloustein School of Planning and Public Policy, Rutgers State University of New Jersey, 2004. Appleyard, Bruce, and Lindsey Cox. “At Home in the Zone: Creating Livable Streets in the U.S. Planning, American Planning Association, 2006. Architectural and Transportation Barriers Compliance Board. Shared Use Path Accessibility Guidelines. Federal Register (2011): 76 (59), 17069-17010. Biddulph, Mike. Home Zones: A Planning and Design Handbook. Bristol, UK: 2001. Biddulph, Mike. “Street Design and Street Use: Comparing Traffic Calmed and Home Zone Streets.” Journal of Urban Design (2012): 17(2), 213-232. Collarte, Natalia. "The Woonerf Concept: Rethinking a Residential Street in Somerville." Cambridge: Urban and Environmental Policy and Planning Department, Tufts University, 2012. Department of Transport. 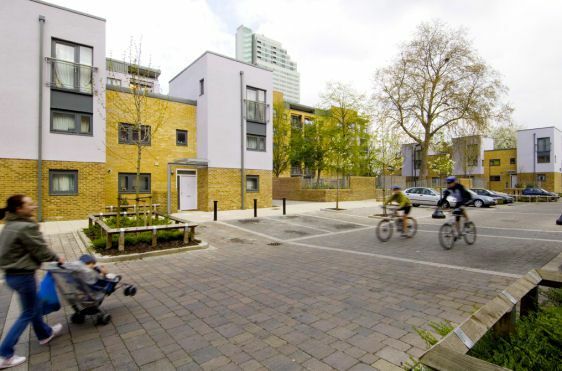 Home Zones: Challenging the future of our streets.” London: 2005. Department of Transport. Shared Space: Local Transport Note 1/11. London: 2011. Shore, Fiona, Kayleigh Uthayakumar, Stuart Reid, Steven Lowe, and Sally Watts. “Shared Space: Operational Assessment.” MVA Consultancy Ltd, 2010. Dickens, Liz, Emma Healy, Catherine Plews, Kayleigh Uthayakumar, and Stuart Reid. “Shared Space: Qualitative Research.” MVA Consultancy Ltd, 2010. Witte, Adrian, and Drew Meisel. 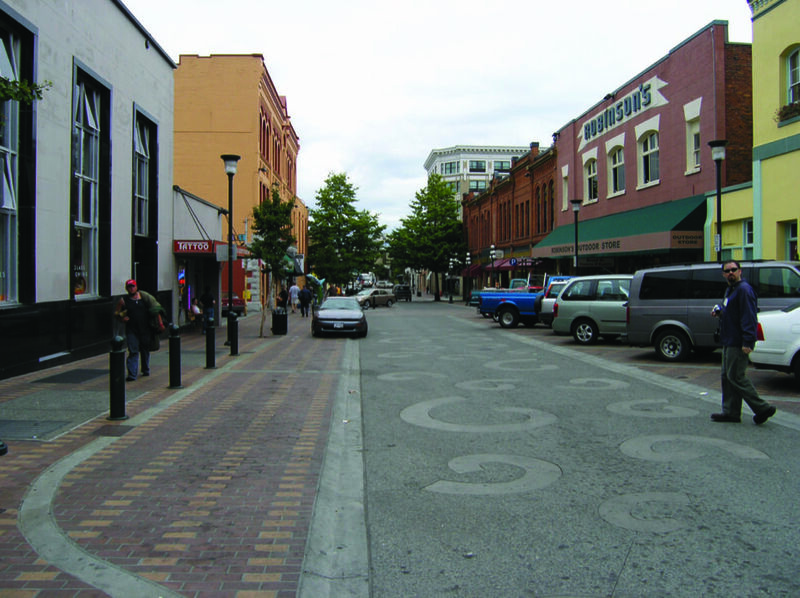 “Shared Streets and Alleyways-White Paper.” Alta Planning and Design, 2011. References for Residential Shared Street: 10 found. Appleyard, Bruce, and Cox, Lindsey. 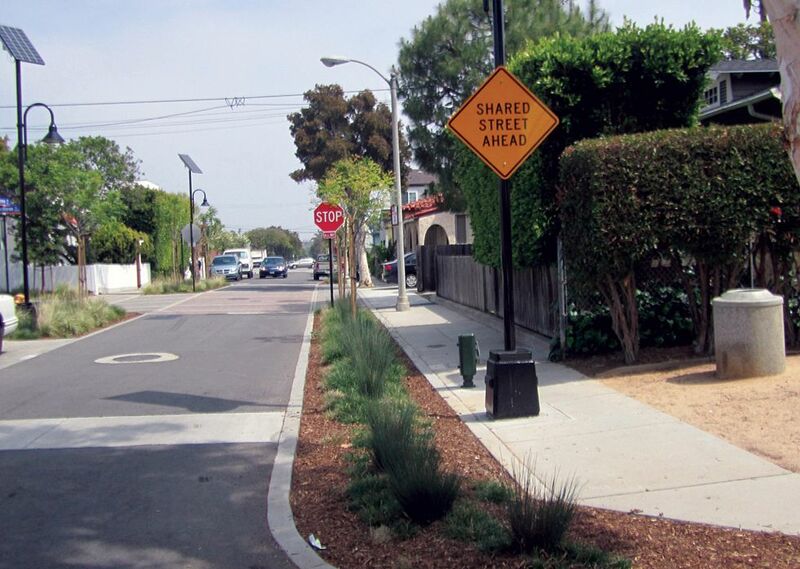 "At Home in the Zone: Creating Livable Streets in the US." Planning, American Planning Association, Chicago, IL. Voorhees Transportation Center. "Home Zone Concepts and New Jersey." Voorhees Transportation Center, Edward J. Bloustein School of Planning and Public Policy, Rutgers State University of New Jersey, NJ Department of Transportation & US Department of Transportation, Newark, NJ. Biddulph, Mike. "Home Zones: A Planning and Design Handbook." Policy Press, University of Bristol, Bristol, EN. Department for Transport. 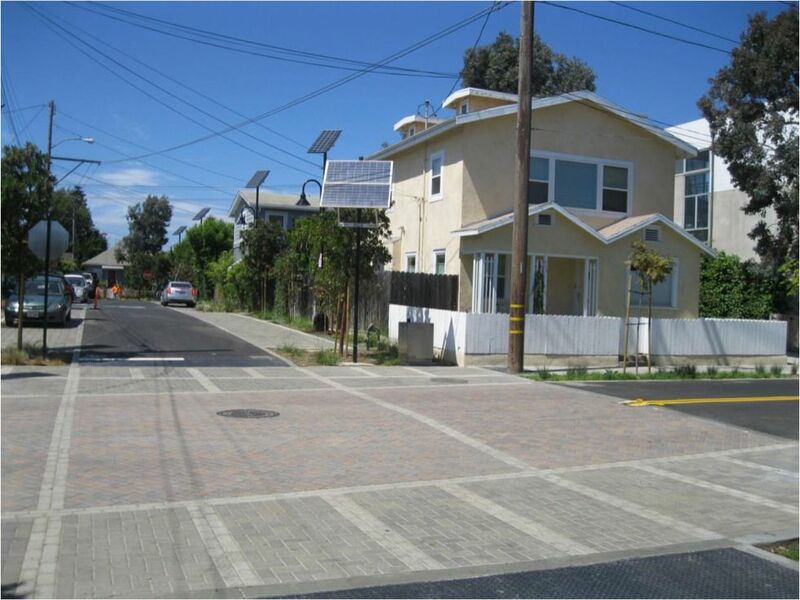 "Home Zones: Challenging the Future of Our Streets." Department for Transport, Department for Transport, London, EN. Shore, Fiona, Kayleigh Uthayakumar, Stuart Reid, Steven Lowe, & Sally Watts. "Shared Space: Operational Assessment." MVA Consultancy Ltd, Department for Transport, London. Dickens, Liz, Emma Healy, Catherine Plews, Kayleigh Uthayakumar, and Stuart Reid. "Shared Space: Qualitative Research." MVA Consultancy Ltd., Department for Transport, London, EN. Witte, Adrian, & Drew Meisel. 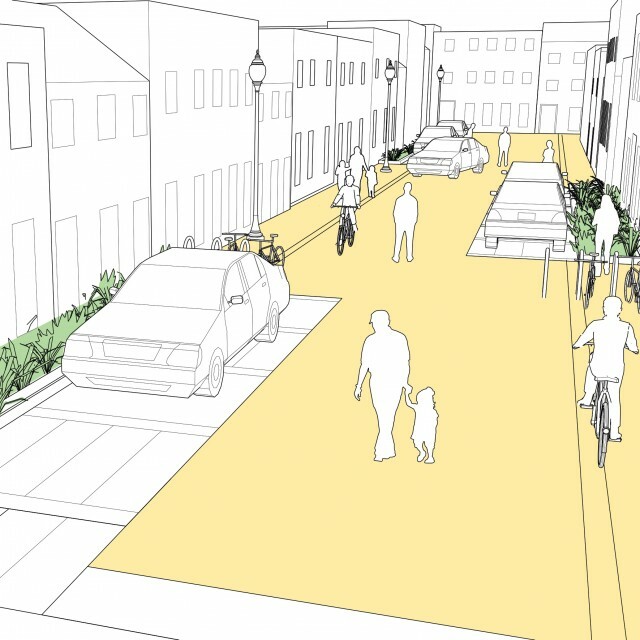 "Shared Streets and Alleyways – White Paper." Prepared for the City of Ashland, Alta Planning + Design, Portland, OR. Starnes, Nancy. "Shared Use Path Accessibility Guidelines." Architectural and Transportation Barriers Compliance Board, Federal Register, Washington, DC. Collarte, Natalia. "The Woonerf Concept: Rethinking a Residential Street in Somerville." Urban and Environmental Policy and Planning Department, Tufts University, Medford, MA.